The Kidney Pathology Model is oversized for up-close study. 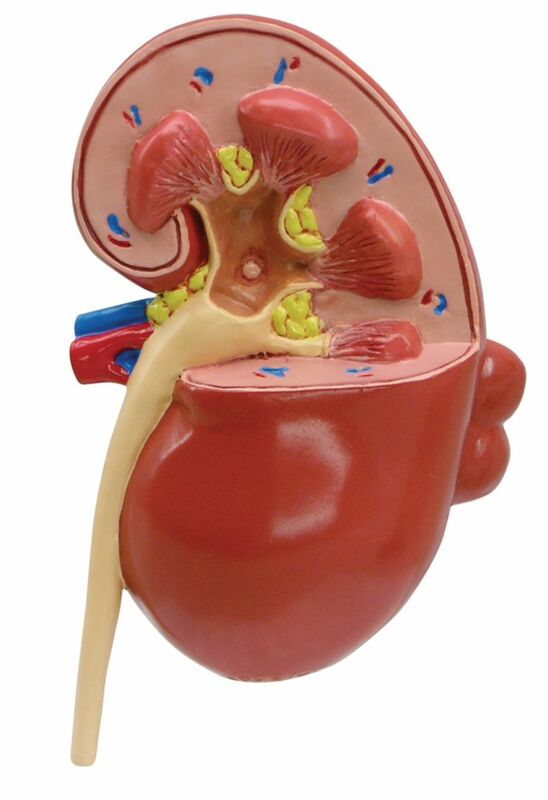 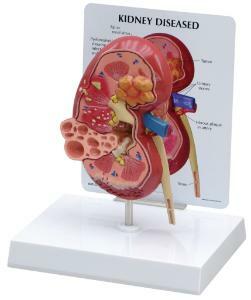 Double-sided and enlarged for observation of fine details, this kidney model reveals both healthy anatomy and diseased. 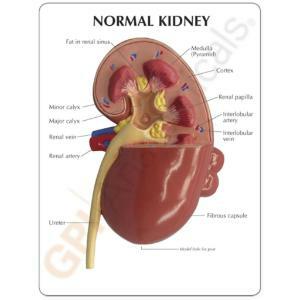 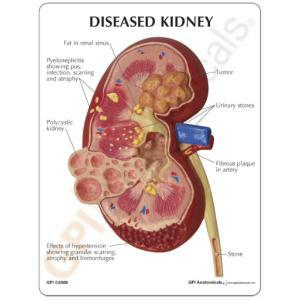 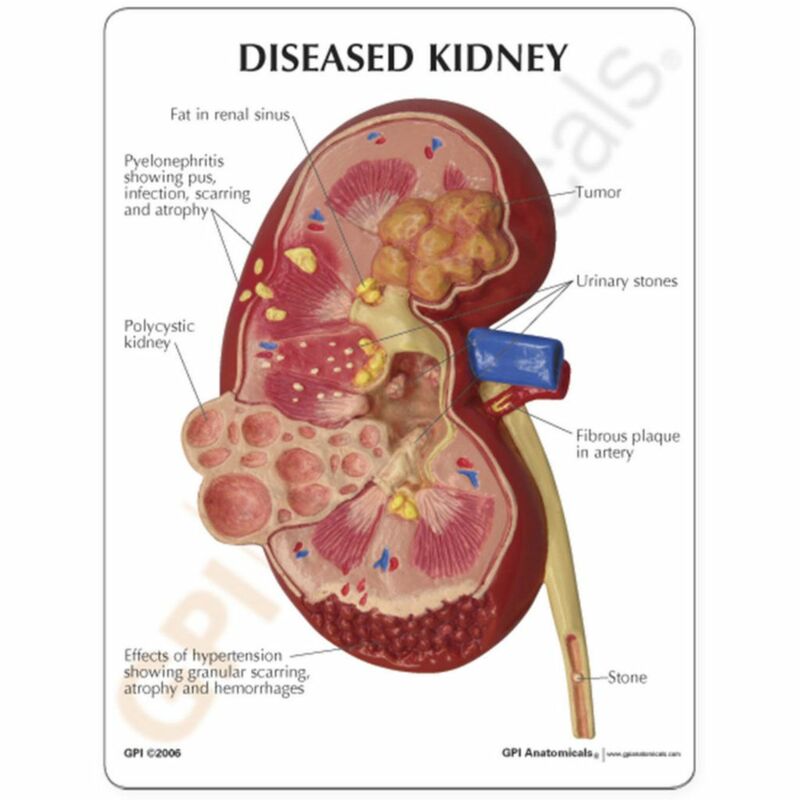 A cutaway on one side illustrates common pathologies of the kidney including infection, scarring, atrophy, urinary stones, tumors, polycystic disease, and hypertension effects.